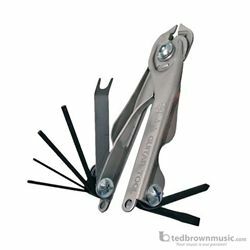 The best string-changing tool on the market, engineered in America and made of stainless steel. Perfect for a quick string change or as a setup tool. The JP Guitar Tool is used by professional guitar techs around the world.